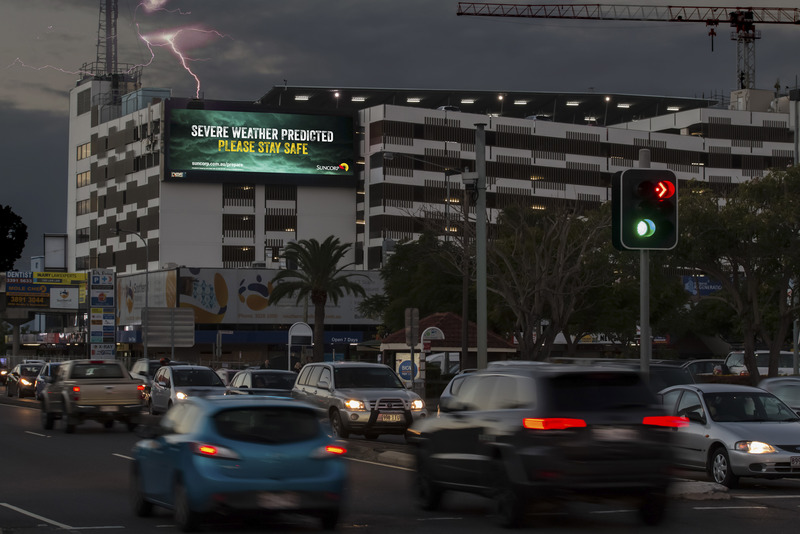 QMS Media, recently switched on three dynamic digital billboard campaigns for Suncorp, Wild Yak and AAMI, that each deliver creative messaging triggered by local weather conditions. Powered by the QMS Digilab, Suncorp launched their ‘Proud to Protect’ campaign across Queensland using real time weather feeds sourced from the Bureau of Meteorology, to dynamically communicate storm and weather warnings based on the local environmental conditions and temperature. Suncorp’s campaign, delivered various creative executions determined by ‘rain’, ‘hail’ and ‘severe thunderstorm’ weather triggers. Everyone’s favourite weather predicting Yak has returned, in Carlton & United Breweries’ latest digital campaign for their new product; Wild Yak Pacific Ale. Embracing the product’s brand positioning of ‘fresh, fruity and tropical’ we say Aloha to the Wild Yak as he surfs his way across the billboard in different weather conditions including ‘windy’, ‘sunny’ and ‘rainy’. 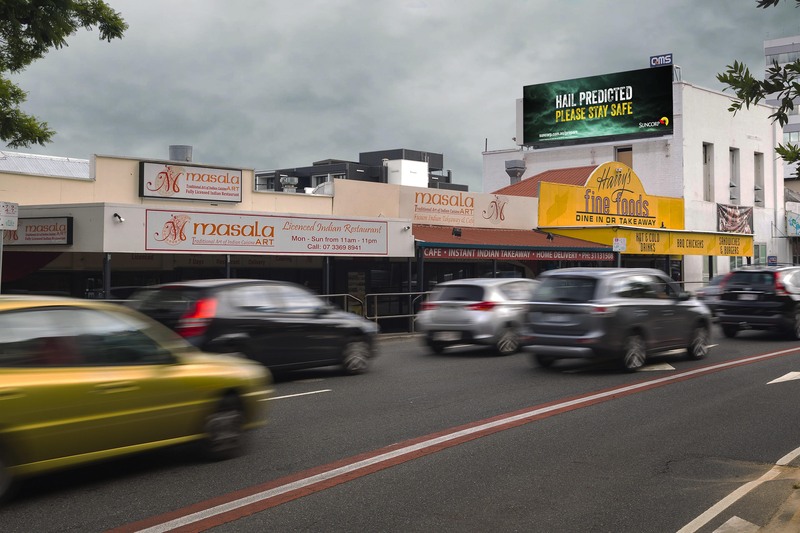 And finally, insurance company AAMI has also applied weather trigger technology across their latest campaign for its Roadside Assistance service, based on ‘sunny’, ‘rainy’, ‘cloudy’ and ‘windy’ weather conditions at each digital billboard location. As with Wild Yak the campaign will run nationally, with supporting brand creative displayed across QMS’ static and digital portfolio to complement the weather triggered campaign and to build brand awareness amongst the target audiences. QMS CEO, Barclay Nettlefold said, “These three new dynamic campaigns are a prime example of how more clients are realising the combined power of digital and static outdoor to deliver memorable, highly targeted and engaging integrated campaigns.